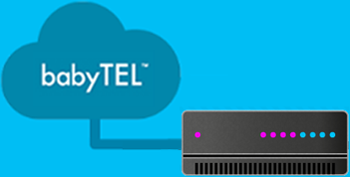 "My experience with babyTEL has been great. Their products and services offer excellent reliability and functionality and their commitment to customer service and meeting customer needs is outstanding." 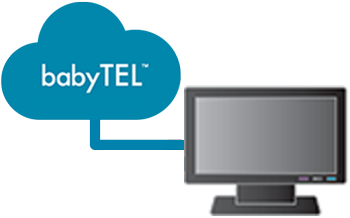 "We partnered with babyTEL because we needed T.38 SIP Trunks that were reliable, effective and interoperable with the Dialogic SR140. babyTEL T.38 SIP Trunks have given us much higher success rates than our previous provider and with babyTEL's excellent customer support, our customers are happy, and so are we." "A friend of mine recommended the babyTEL Home Phone service. When we started using babyTEL, we found that the service offers more features than we were getting with our regular line, at a much lower cost. Our experience with babyTEL is great, we are very happy with the quality of the service." babyTEL is a quality Voice over Internet Protocol (VoIP) solutions provider that redefines telephony with service options that integrate traditional, unified and social communications with VoIP options suitable for home, business, enterprise and social network users. 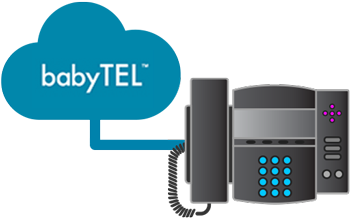 babyTEL VoiP phone and fax services are available in over 7000 locations in the USA	and in Canada . 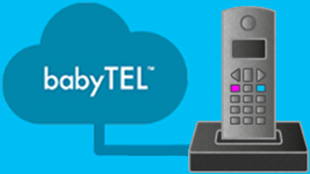 You can also keep your existing number when you choose babyTEL as your VoIP provider. babyTEL also offers options for getting numbers from many International locations and you can get one or more telephone numbers on the same account. Now you can give someone overseas a local number to call you on! babyTEL services offer great benefits and savings. Connect multiple telephones on the same account and get the equivalent of two phone lines for the price of one. Drastically cut the cost of your International and long distance calls because all calls between babyTEL subscribers anywhere in the world are free. Voice over Internet Protocol (VoIP) is the transmission of voice traffic over an IP-based network such as the Internet. The Session Initiation Protocol (SIP) is the signalling protocol widely used as a VoIP standard for creating and controlling communication sessions. A VoIP-enabled device can make or receive calls using SIP by connecting to an Internet Telephony Service Provider (ITSP) such as babyTEL. VoIP calls to and from telephone numbers on the traditional Public Switched Telephone Network (PSTN) including Mobile numbers are possible by connecting through an ITSP. A VoIP Service is a telephone service that allows subscribers to use a high-speed Internet connection to carry telephone conversations. A company that offers VoIP services is typically referred to as Internet Telephony Service Provider (ITSP).